At major museums around the world, color experts train their discerning eye on the walls behind the artwork. 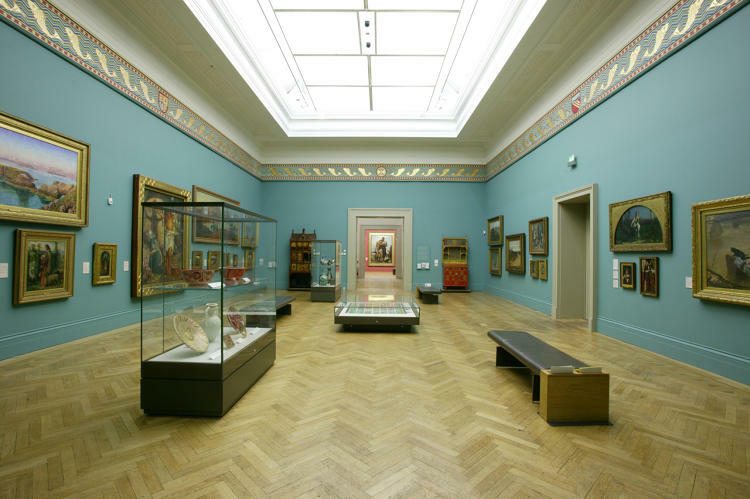 White walls may reign supreme at art galleries, but at major art museums, colored walls are standard practice. 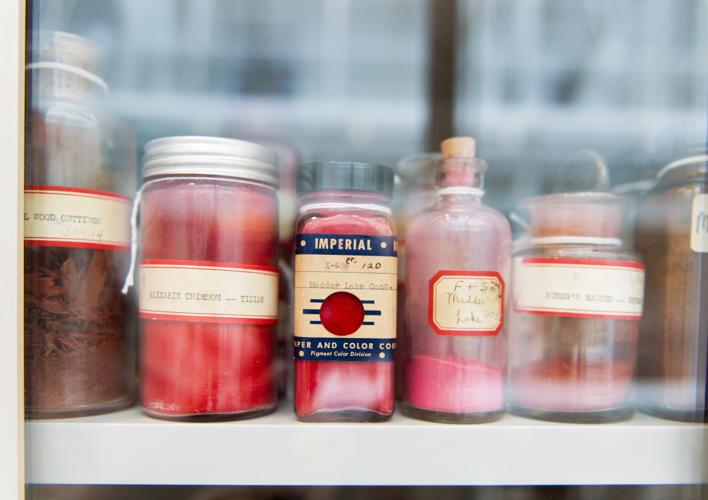 And while you might be hard-pressed to remember what color the walls were at the last museum you visited, that forgettable hue was the result of months of consultation, deliberation, color mixing, and testing. Who chooses these carefully crafted colors? The task typically falls to the show's curator, who in turn consults with the expert colorists at a paint company to choose the perfect shade to serve as a backdrop to some of the most famous artworks of all time. Sometimes, they even create the color from scratch. 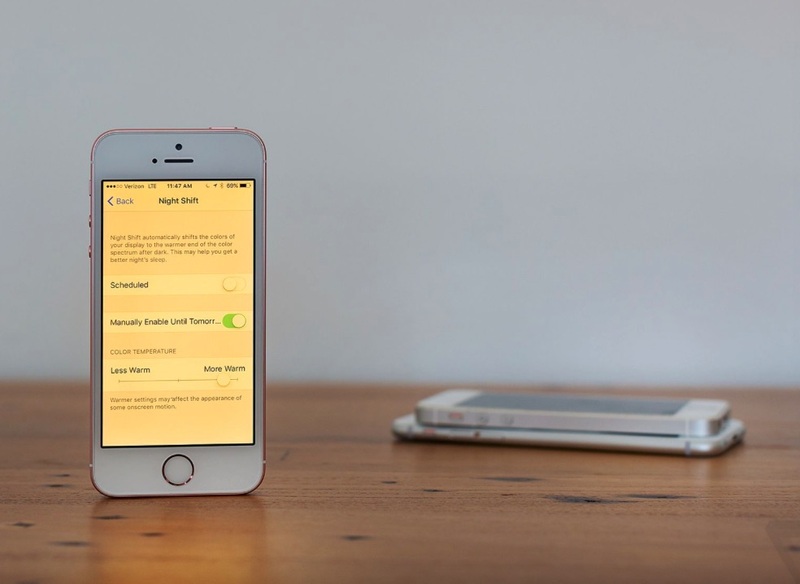 "...all three experts agree: removing blue light won’t necessarily make you sleep better or prevent the side-effects of eyestrain, like headaches. The best way to fall asleep easily is the same as it ever was: don’t use your electronic devices late into the evening. Night Shift may help, but it’s not the magic solution for sweet dreams." We're making Colorjive Widgets freely available to paint contractors. Colorjive Widgets are interactive photos of homes that you can click on to change the colors. You can embed them on your website, the same way you can embed a YouTube video. What's in it for the paint contractor? Pull more visitors to your website and inspire them. After all, most of your clients are interested in a home deco dream, much less in maintenance. When they visit your website they expect to get inspired and to compare the options. And they want to see exactly what they're getting - before they decide anything. 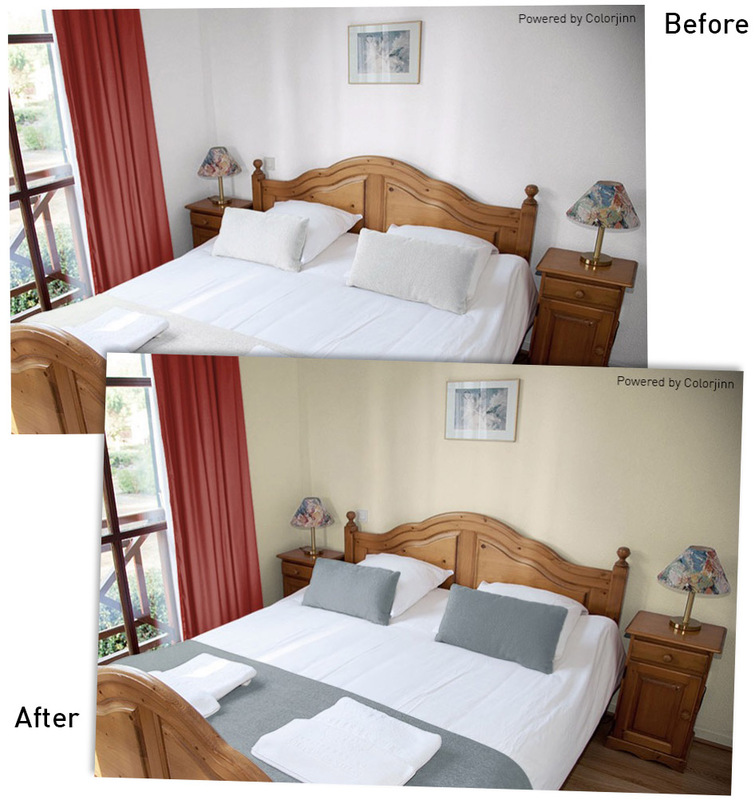 With a Colorjive Widget, your customers will be able to see their preferred shade of color on a wall. This will help to increase your conversion rates and therefore increases your sales. A Colorjive Widget can easily become one of the main attractions of your website. At Colorjinn we humbly think we make the best color tools in the world. And many of our clients agree. However, not everyone knows we exist. We'd like to be visible anywhere where color choices are important. So if you help spread our name, we'll help your business. Simple as that. Colorjinn is a mini-multinational corporation with a head office in Amsterdam, Netherlands. 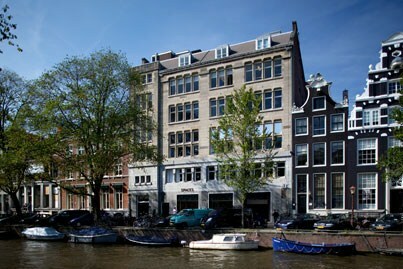 For more than 10 years we occupied a very cosy office space on one of the most beautiful canals of Amsterdam. We always assumed we would grow out of it rather quick, but we never did. The reason is that our team is increasingly distributed all over the world. We have people working primarily from home in three different cities in the Netherlands. In addition we currently have people in Poland, Philipines, Ukraine, not to mention free-lancers in other places such as New-York. Therefor we decided to move to a shared office space on another beautiful canal. 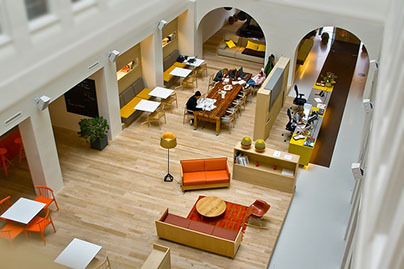 Our new office is much larger, with our own catering, a number of meeting rooms and plenty of space for larger meetups. We share it with a number of other inspiring companies. The new office allows for much more flexibility, in case we have more people around on some days. Feel free to drop by if you happen to be in Amsterdam. Home For Sale? A Lick of Color Could Earn You Money. When selling a house, home staging can increase the value of the property somewhere between 1% and 10%, according to the National Association of Realtors in the US. Whereas the median costs of home staging are only $675 per home. So a lick of paint, in the right colors, could earn you considerable money. Home staging is the art of making a home more appealing to a larger number of potential buyers. This obviously involves cleaning and cutting the grass. But you can go well beyond that by applying fresh new colors on walls and some furniture. Home stagers bring in on-trend color pops through toss pillows and small accents such as candles — to offer color that can easily be swapped out when sellers move out. But unless you painted within the past year, the house should be repainted as well. New paint just gives everything a fresh look and feel. Using several colors throughout the house is fine, as long as they complement each other and the overall integrity of the house. Buyers are more accepting of colors these days. You don't necessarily need white or beige to appeal buyers. It totally depends on the style of the house and the amount of natural light. In houses with more traditional trims and moldings, a little color on the walls really shows these details. A little contrast, with deeper beiges, creams or grays could work well. For a more contemporary house with large rooms and open spaces, off-white and soft grey might work better. Kitchens and baths have their own built-in furniture, a bit of color in these spaces helps the rooms feel finished. Overall, avoid colors that are highly personal or evoke a strong emotion. Pink in any shade is a no-no. Lavender and Lime can be problems too. When in doubt, check home-deco magazines and websites for inspiration. You can try out new colors with our Colorjive Widgets here. Or use a picture of your own home here.